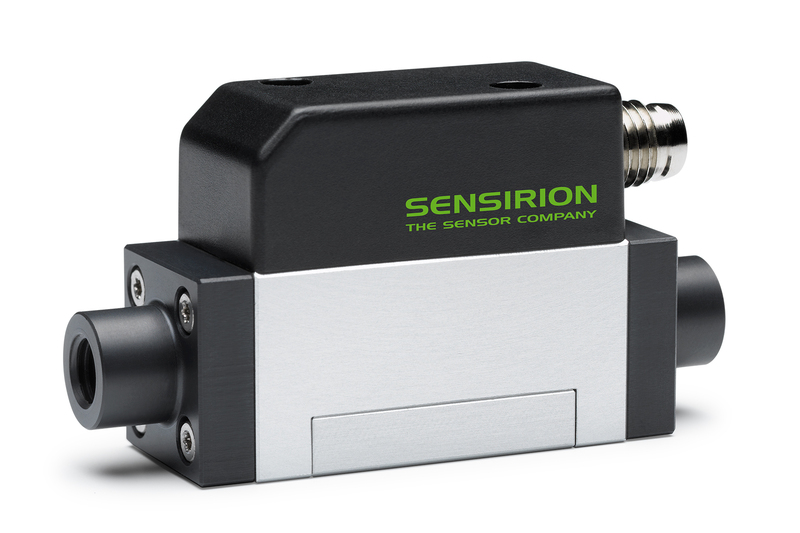 Sensirion, a leading player in digital microsensor technology, is expanding its range of liquid flow sensors for measuring low flow rates. The new SLS-1500 liquid flow meter delivers fast and precise measurements for flow rates of 0 to 40 ml/min. The compact liquid flow meter comes in a robust housing and offers a versatile sensor solution for applications in demanding industrial environments and laboratory settings. Sensirion’s modular approach of combining the sensor and interface cable ensures an optimum match with rapid results and makes the integration of a flow sensor very easy. With a typical response time of 20 ms, the SLS-1500 is able to quickly and reliably monitor highly dynamic dispensing processes. The flow channel inside the sensor is completely straight and open and has no moving parts. Inert wetted materials provide outstanding chemical resistance and excellent biocompatibility. The SLS-1500 is compatible with SCC1 interface cables, thereby offering USB, RS485 and analog voltage output connections. The compact, cost-effective and precise SLS-1500 liquid flow meter is the perfect choice for optimising industrial applications.